As the information age advances further, J.R. Group has diversified its businesses and expanded its products line in the trading of other industrial products. J.R. 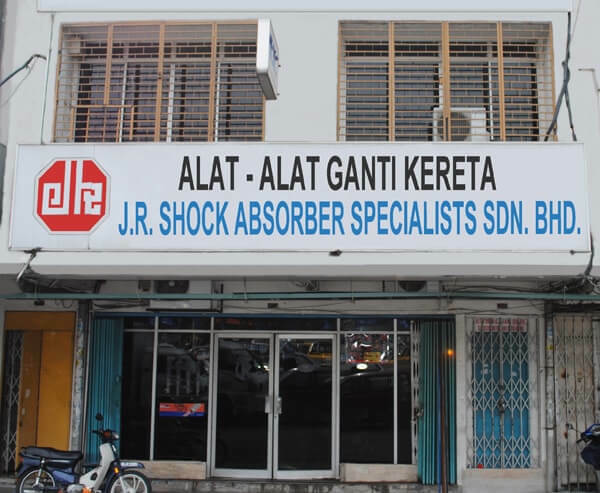 Shock Absorber Specialist Sdn. Bhd. Was founded and emphasis on offering absorber and automotive spare parts products. A shock absorber is a mechanical device designed to smooth out or damp shock impulse, and dissipate kinetic energy. It is a type of dashpot. In general terms, shock absorbers help cushion vehicles on uneven roads. Supported by experiences of J.R. Group as well as responsible management team, we maintain a consistent growth by providing high quality products that meet customers' requirement. Our continuous commitment enables us to continue to offer our customers the best products and benefits our customers. NO. 112, Jalan Kepayang, Taman City Off Jalan Kuching, 51200 Kuala Lumpur, Malaysia.